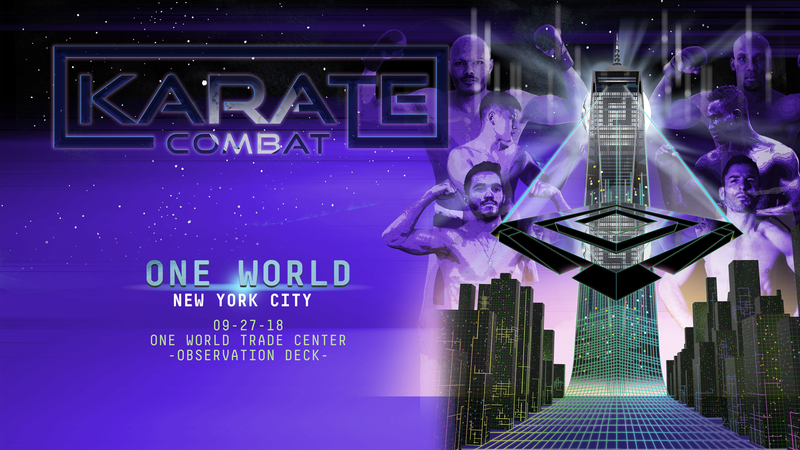 Live from New York City, NY on Sept. 27, 2018, Karate Combat: One World is the third event of the Karate Combat fighting league’s inaugural season. Held atop the Freedom Tower on the 102nd Floor Observation Deck of One World Trade Center building. On the Main Card: Abdalla Ibrahim of the US/Egypt vs. Dionicio Gustavo of Dominican Republic. The co-main event features Brazil’s Luis Rocha and Dimitris Triantafyllis of Greece. A stacked card of 10 fights also features Elhadji Ndour, Josh Quayhagen, Adilet Shadykanov, and Spyros Margaritopoulos.